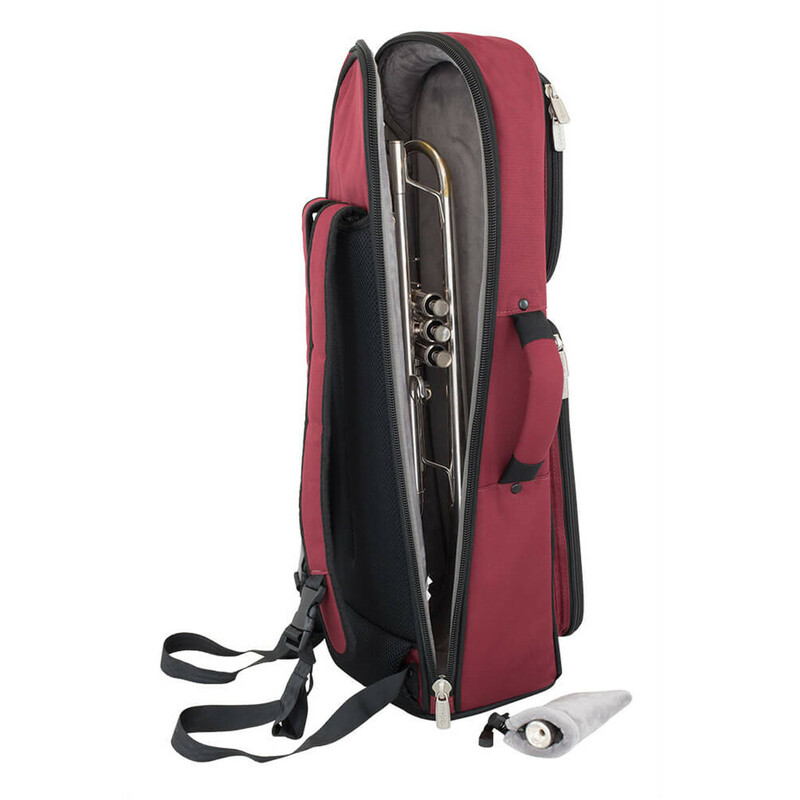 The Tom and Will Burgundy and Black Trumpet Gig Bag allows easy transportation of an instrument at an affordable price. With the included shoulder straps and a padded interior, this TomandWill trumpet gig bag will not only protect your instrument, but be a huge benefit when gigging or travelling to school. 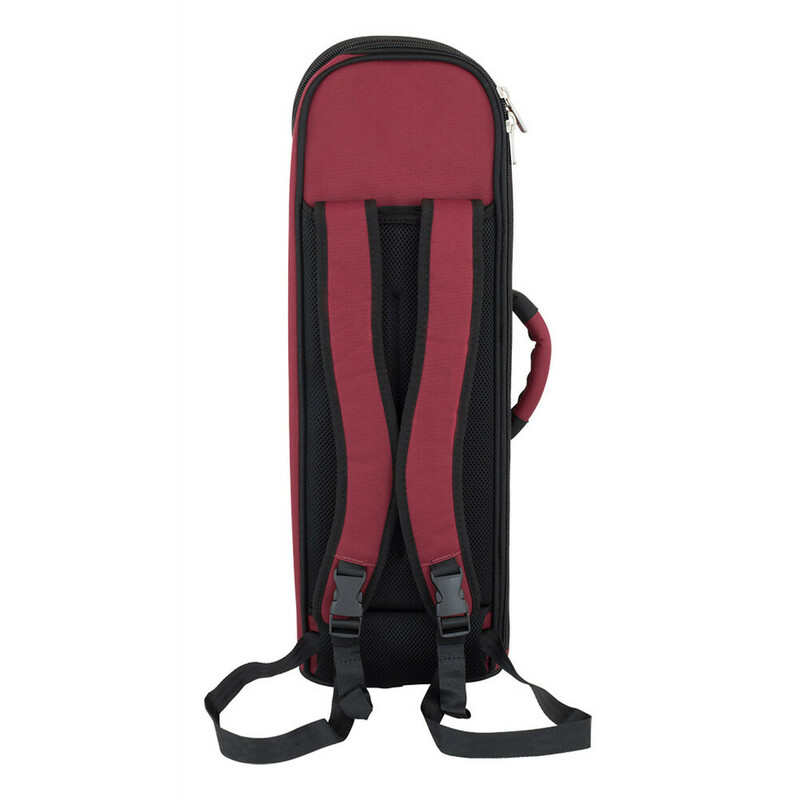 The shoulder straps included with the case provides excellent portability of the trumpet. 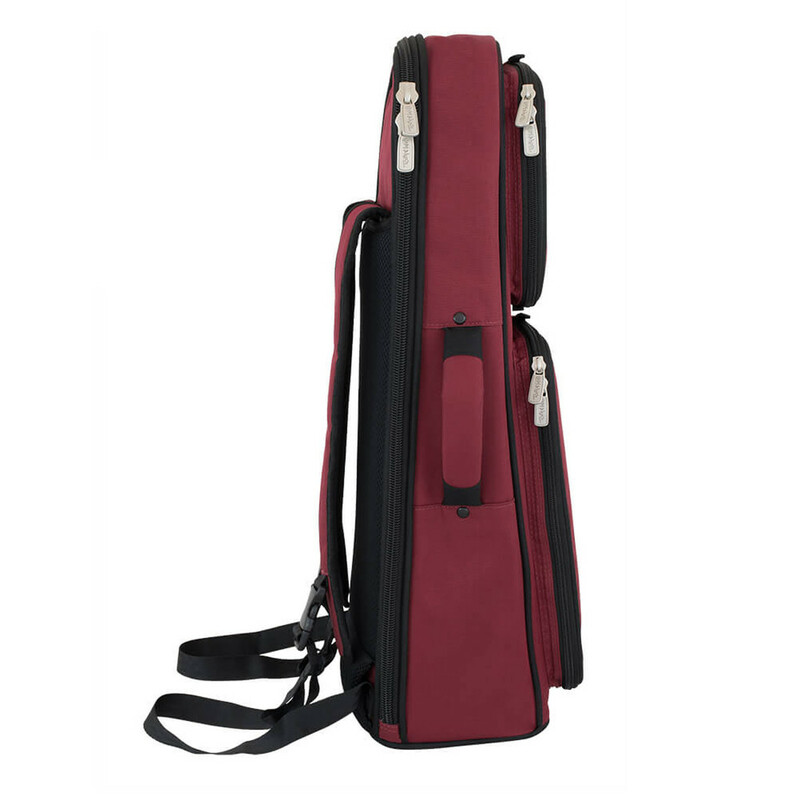 Whether travelling to lessons, rehearsals or performances, the shoulder straps or carry handle will enable you to carry this case cover around effortlessly. 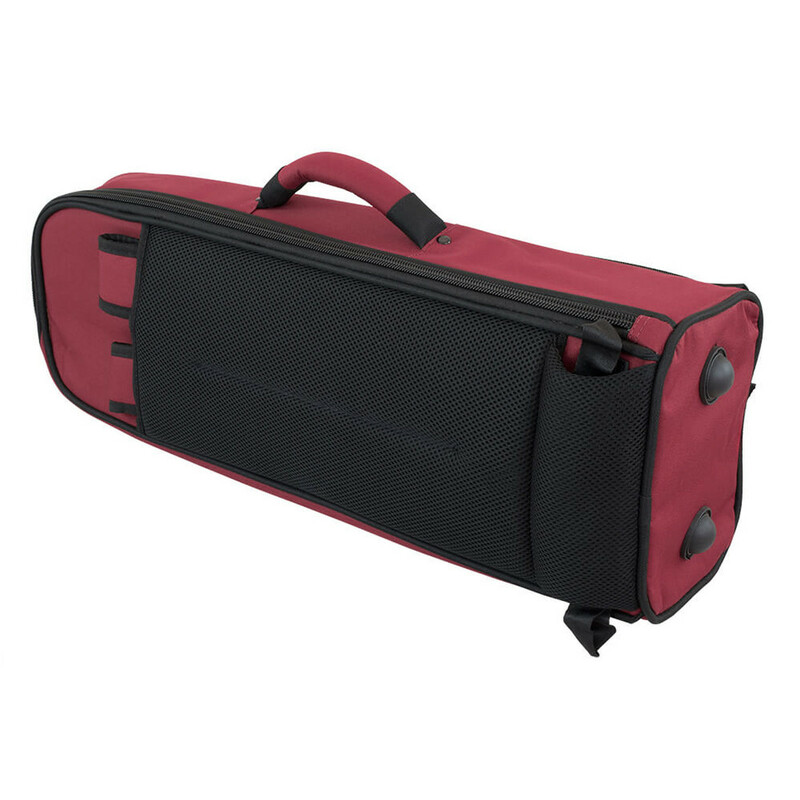 This gig bag has been designed for the transport of any trumpet with minimal effort and plenty of padding. Inside the case, there is 20mm of padding as well as extra padding around the bell area to prevent damage. 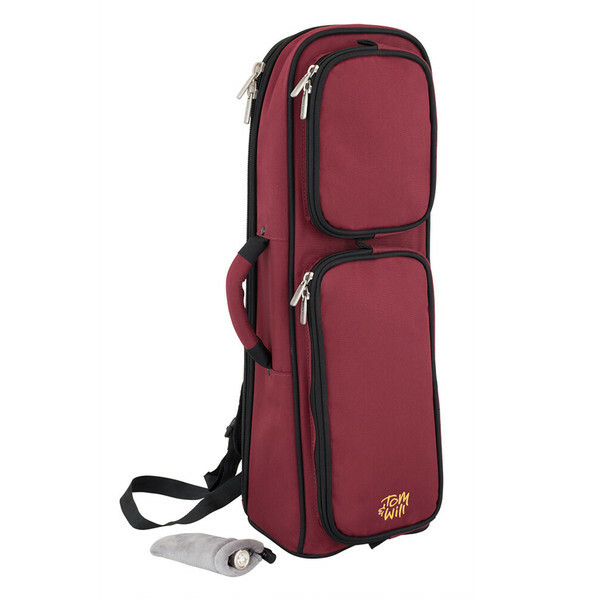 There is also a pouch in the interior of the bag, suitable for accessories such as boxes of reeds and mouthpieces etc. On the outside, there is a pocket suitable for A4 sheet music. 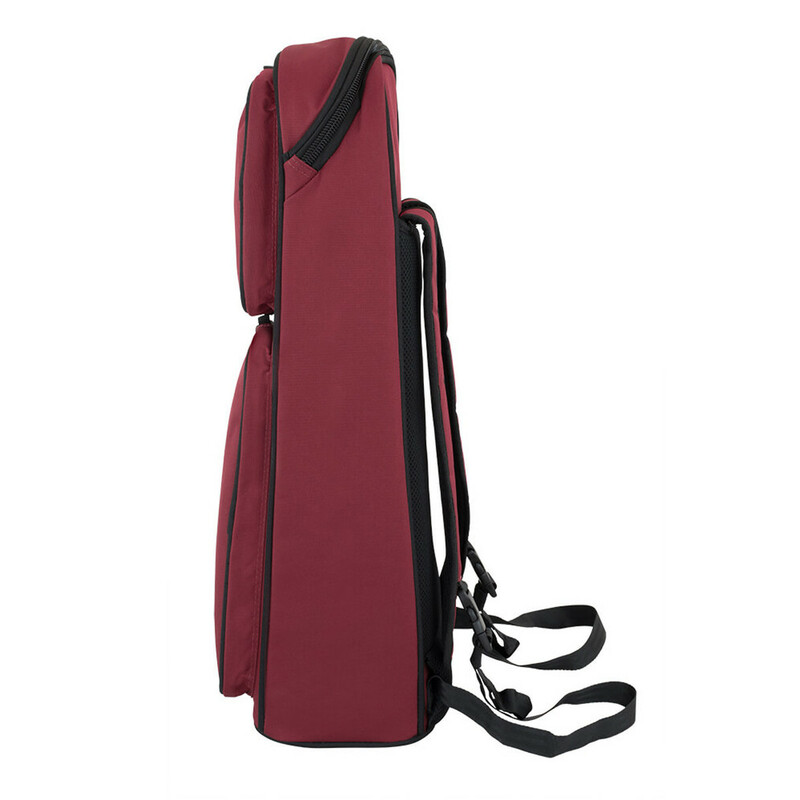 This is a handy extra for the musician on the go.